ANAHEIM — Orange County Buddhist Church, 909 S. Dale Ave. in Anaheim, will hold its annual Obon Festival on Saturday, July 19, from 2 to 9 p.m. and Sunday, July 20, from 2 to 8:30 p.m. 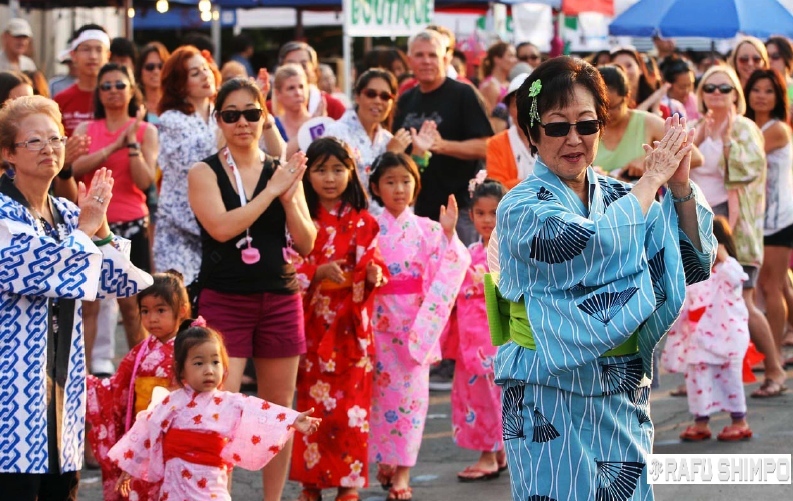 The Obon dance will take place both days from 7 to 8:30 p.m., preceded by a performance by OCBC’s own Daion Taiko at 6:30 p.m. Dance practices have concluded, but everyone is invited to participate whether they know the steps or not. In addition on-site dining, OCBC offers a takeout service. Enter the parking lot from the south gate and your order will be taken. Raffle tickets may be dropped off at the same time. The menu includes beef and chicken teriyaki, ika teriyaki, dango dogs, Imagawa yaki, Spam musubi, Oriental chicken salad, oden, udon, teriburgers (beef and chicken), udon and won ton. The festival also includes games for kids, a boutique for handcrafted items, and delicious homemade desserts. For more information, call (714) 8279590 or visit www.ocbuddhist.org.